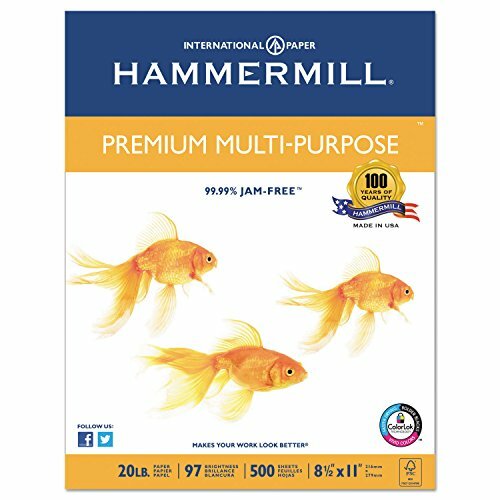 "Premium Multipurpose Paper, 20-lb., 8-1/2 x 11, White, 5000/Carton"
Product prices and availability are accurate as of 2019-04-21 03:32:19 EDT and are subject to change. Any price and availability information displayed on http://www.amazon.com/ at the time of purchase will apply to the purchase of this product. Heavyweight sheet is designed to run effectively through all your office equipment. ColorLok Technology for vivid colors, bolder blacks and faster drying time. 99.99% JAM-FREETM and acid-free for archival-quality. Ideal for reports, proposals, newsletters and direct mail. This product was made from wood that came from a certified managed forest. 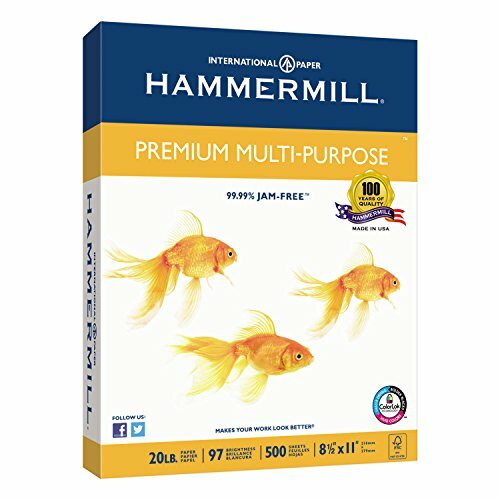 Sold as 10/CT. Heavyweight sheet is designed to run effectively through all your office equipment. ColorLok Technology for vivid colors, bolder blacks and faster drying time. 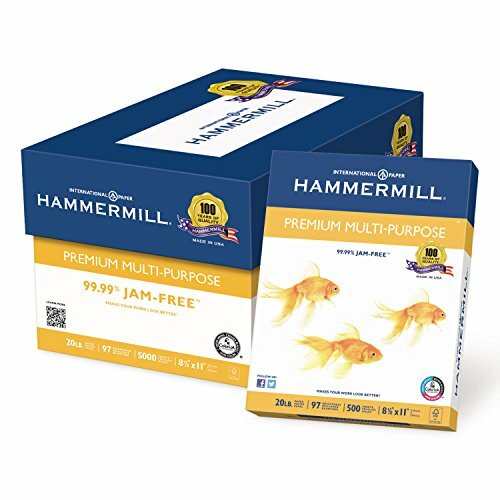 99.99% JAM-FREETM guarantee. Acid-free for Archival-quality. Ideal for reports, proposals, newsletters and direct mail.